Noah grew up fishing the lakes and streams of East Tennessee and finds his occupation, as a fishing guide, a Dream Come True. Noah's fondest memories of fishing were at a very early age. Barely old enough to walk, he would travel through the Smoky Mountains with his Grandfather to spend his days catching trout. At the young age of 18 Noah decided he loved fishing so much it was time to expand his fishing skills. 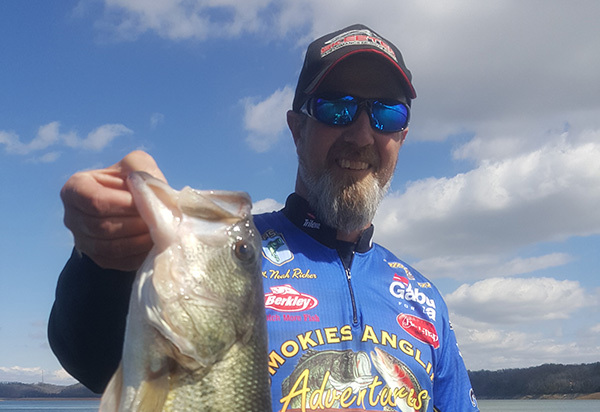 Noah went out, purchased his first bass boat and almost immediately began entering numerous bass-crappie fishing tournaments throughout East Tennessee. Primarily focused on Cherokee Lake, Douglas Lake and the many other well known nearby waterways, Noah became well sought out by others for his fishing tips and tricks. Well, as they say...that's history and for the past 10 years Noah has been sharing his professional angling skills as a full time fishing guide. He loves his job, despite working from early mornings into the late evenings, and it shows. Noah invites Smoky Mountain guest to come and go fishing with him. Whether on mountain streams fishing for trout or lake waters challenging bass and crappie, Noah would like for you to join him in making your very own memories to carry you through your life's journey.